Kaju Kesar Katli from Haldiram. A mouth watering treat of Kaju Kesar Katli 1/2 kg (Gross Weight) which are sure to bring that sweet smile on the face of the recipients. Kaju Kesar Katli from Haldiram. 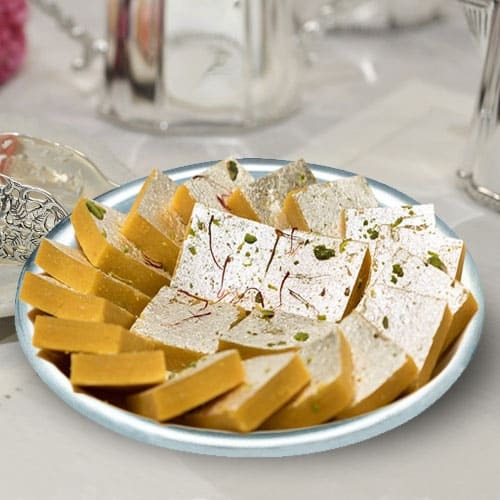 A mouth watering treat of Kaju Kesar Katli 1 kg (Gross Weight) which are sure to bring that sweet smile on the face of the recipients.